Looking for Denver 4/20 Deals? Look no further. We’re ready to help you get lit for 4/20. Looking for the best Denver 4/20 deals? Look no further. 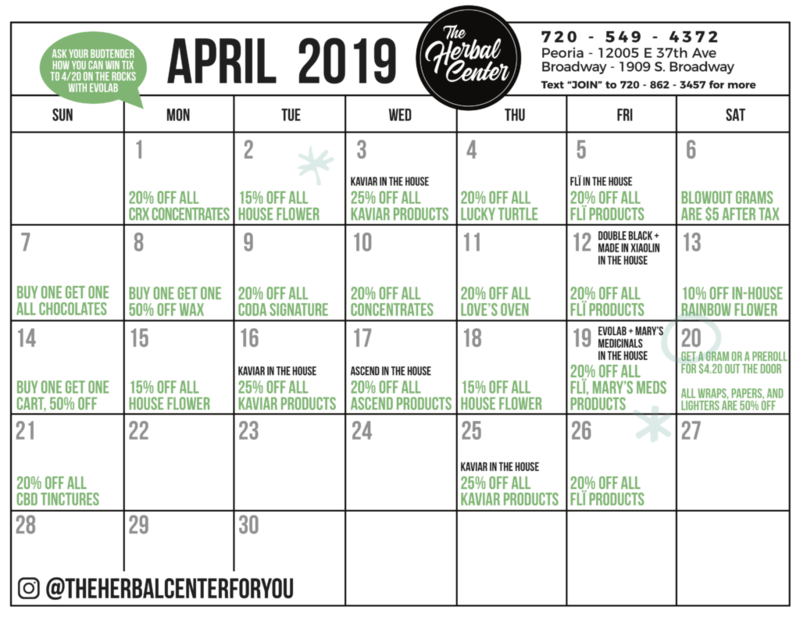 At The Herbal Center, we are running deals and specials for the entire month of April. Click here for a downloadable calendar! + Kaviar will be hanging out from 12-2pm @ Peoria, 3-5pm @ Broadway. + FLï will be hanging out from 12-2pm @ Peoria, 3-5pm @ Broadway. + Double Black AND Made in Xiaolin will be hanging out from 12-2pm @ Peoria, 3-5pm @ Broadway. + Kaviar will be hanging out from 10am-1pm @ Peoria. + Ascend will be hanging out from 12-2pm @ Peoria, 3-5pm @ Broadway. Planning a visit to The Herbal Center ? Excited about 4/20? You should be. Just remember that there are some important things to keep in mind during the excitement of the holiday season! First thing’s first: even if you want to stock up, legal limits still apply. Also, if you’re thinking about going on a road trip, cannabis is STRICTLY forbidden across state lines. Don’t be the person getting pulled over in Utah with a vape pen in your hand. Although licensed consumption lounges exist in Denver, open consumption is not legal. Don’t smoke on the side walk. If you’re exploring the city as a tourist, be careful about private venues – some have the potential of getting raided, putting you in hefty legal trouble and ruining your vacay. 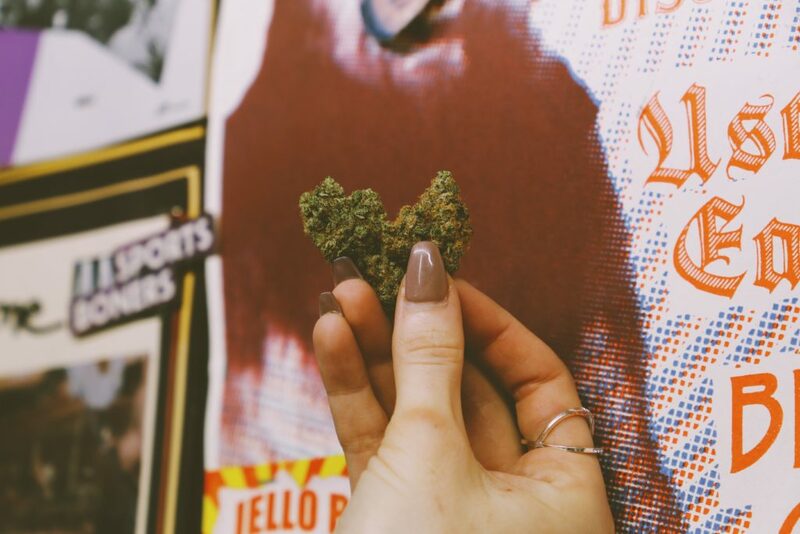 A good rule of thumb when considering Denver for your 4/20 destination is to talk to your local budtenders! 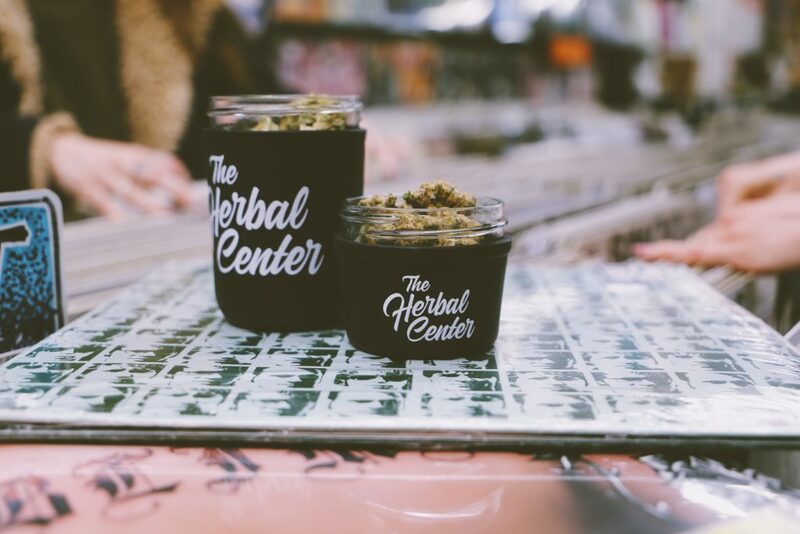 #TheHerbalCenter employees will do their best to alert you of all the safe and legal ways to enjoy our favorite holiday!